Vauxhall has facelifted the Zafira Tourer MPV with a range of updates designed to add some spark to the Ford S-Max rival. No official prices yet, but expect things to fire up from about the £18,500 mark when it goes on sale in October. 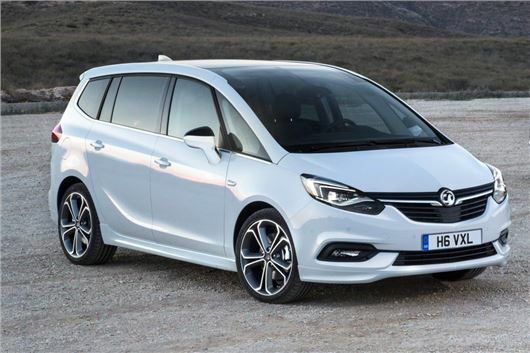 A relatively long time coming (the Zafira Tourer launched in 2011), the facelift aims to extinguish any niggling weaknesses by adding improved connectivity and bolting on some prettier bumpers. So, the MPV now gets Apple CarPlay and Android Auto compatibility, OnStar availability and 4G wireless internet hotspot functionality, while the dashboard has been redesigned and the touchscreen is bigger - now seven inches across. That’s inside, but passengers alighting will notice that the exterior has been improved significantly too. Full-LED headlamps are now available, emitting a blazing light beam, while the front and rear bumpers get a redesign in keeping with Vauxhall’s glowing family face. New tech includes forward collision alert, traffic sign recognition and lane departure warning, while adaptive damping is now on the options list too. The interior seating arrangement retains Vauxhall’s ‘Flex7’ setup, with the rear row able to be folded completely flat, turning what was a 710-litre luggage space into a 1860-litre one. The engine line-up is unchanged, meaning a1.4-litre turbo petrol with 140PS, a 1.6-litre diesel with 136PS and a 2.0-litre diesel with 170PS. And no doubt an enormous and confusing array of trim levels, seemingly fired out at random.